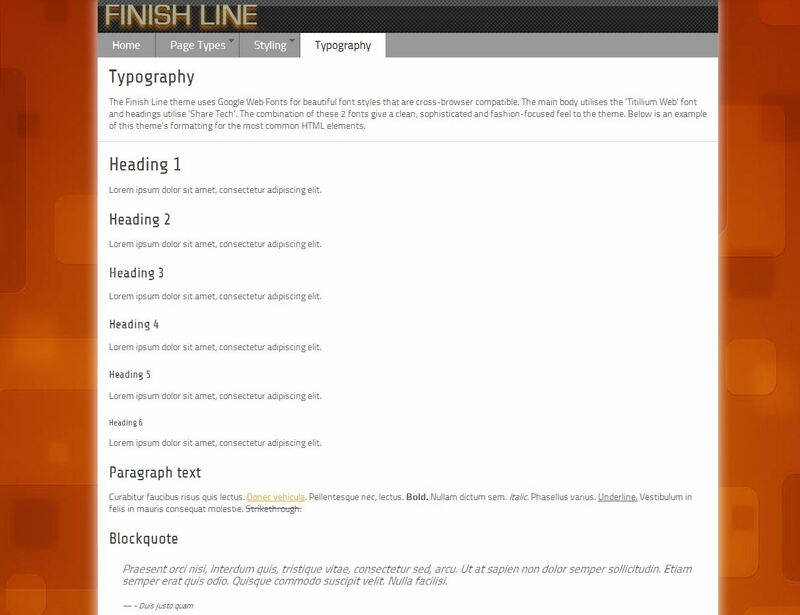 Finish Line is the champion theme you're looking for. 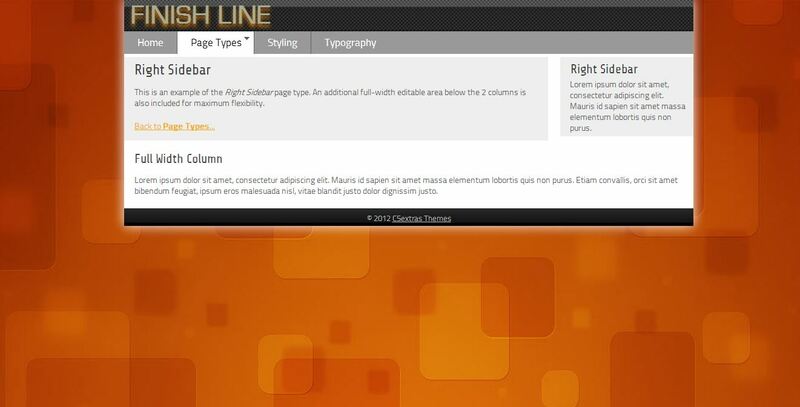 It gives your site a sense of speed with the racy Parallax background effect. 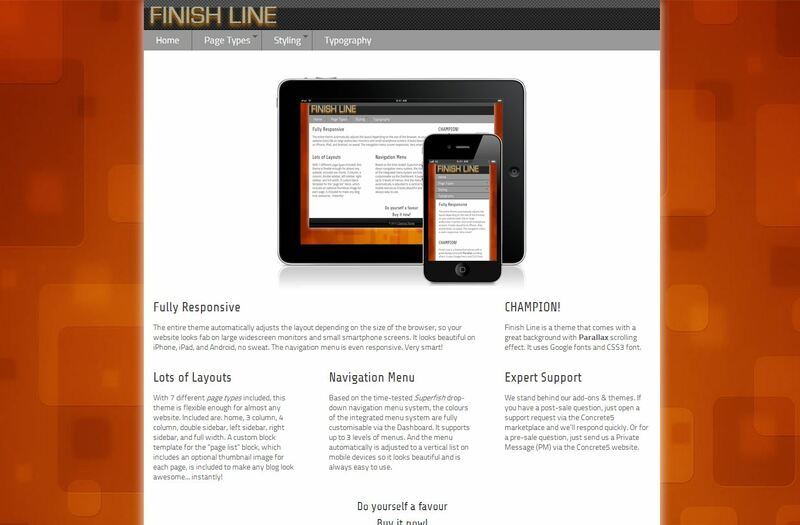 And it the dark glossy checkered logo background shows that your website is destined for the winner's podium. 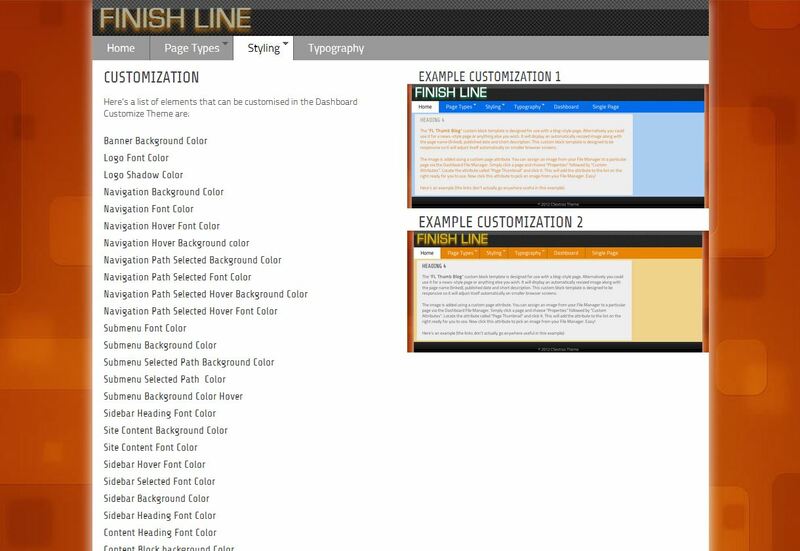 With superior flexibility, a fully responsive mobile-optimised design, and 35+ customisable styles, your site will look just the way you want. 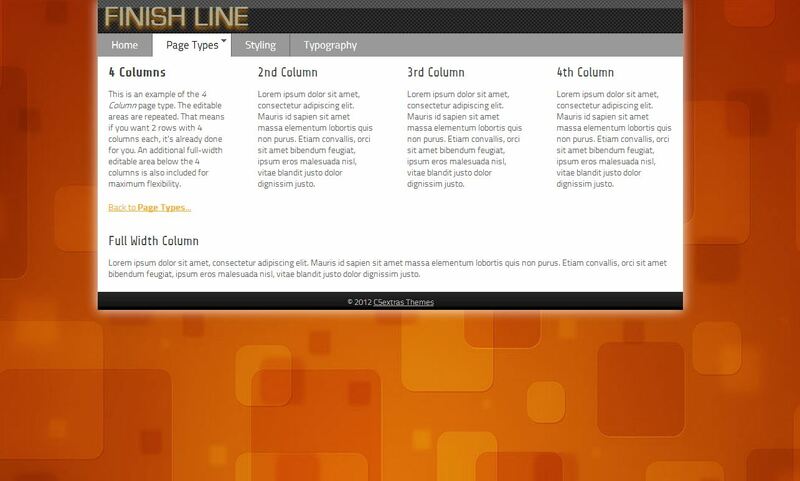 7 different page types are included which feature a wide range layout options, from full width to 4 columns and everything in between. 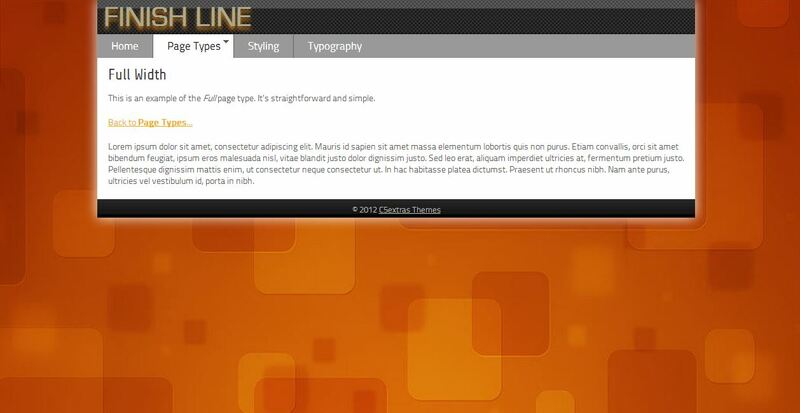 The theme includes a block template for the "page list" block which is ideal for a news or blog style page. And the block template for the "autonav" block gives you stylish multi-level dropdown menus which look perfect on all web browsers. 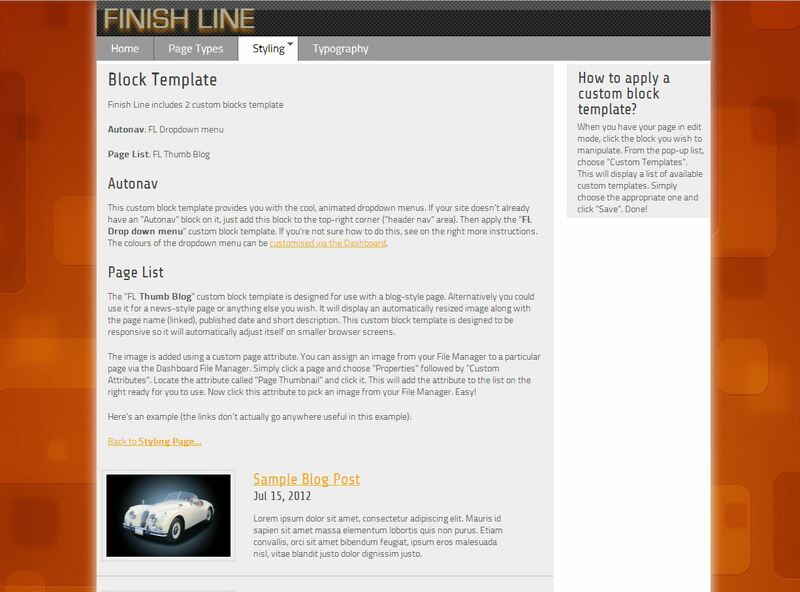 Pick a winner today and get your site in overlapping your competitors with this turbo speed theme.